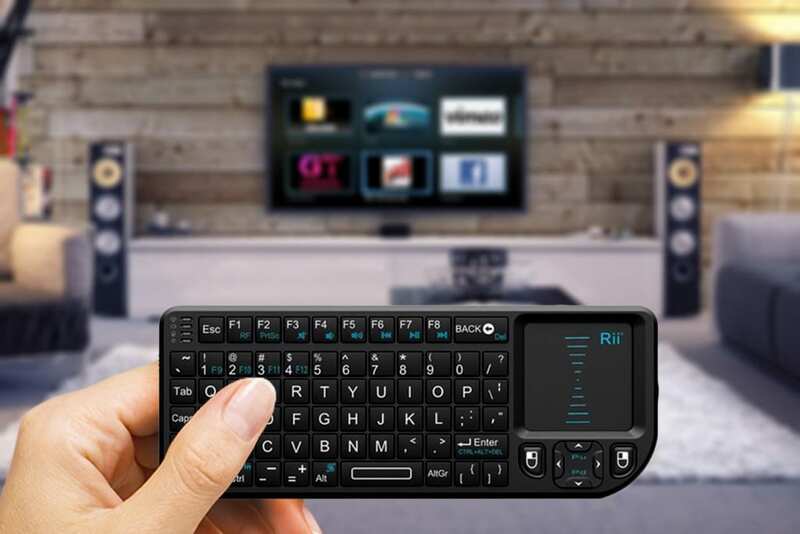 Rii mini X1 is a mini-sized keyboard, perfectly compatible with computers, notebooks, Smart TV, plug-and-play and convenient to use. The palm-sized design makes it easy to be held by hand and kept in the pocket. Silicon key gives the user a mild touch feel. Innovative/ convenient navigation design operation distance reaches 10m. QWERTY keyboard design boasts a simple way of surfing the internet and gaming at will. IN any circumstance, perfect control can be enjoyed. With the adoption of high-hardness ABS material, the durable keys are stuck tight and offers a stable bouncing feel when pressed, comfortable feel when touched and better feel when operated. You can enjoy perfect control and feel of this mini keyboard. Rii USB receiver, Plug and Play! Mini keyboard is equipped with plug-and-play USB receivers, requiring no manual driver installation. A simple-to-use partner that brings you unlimitedfun. 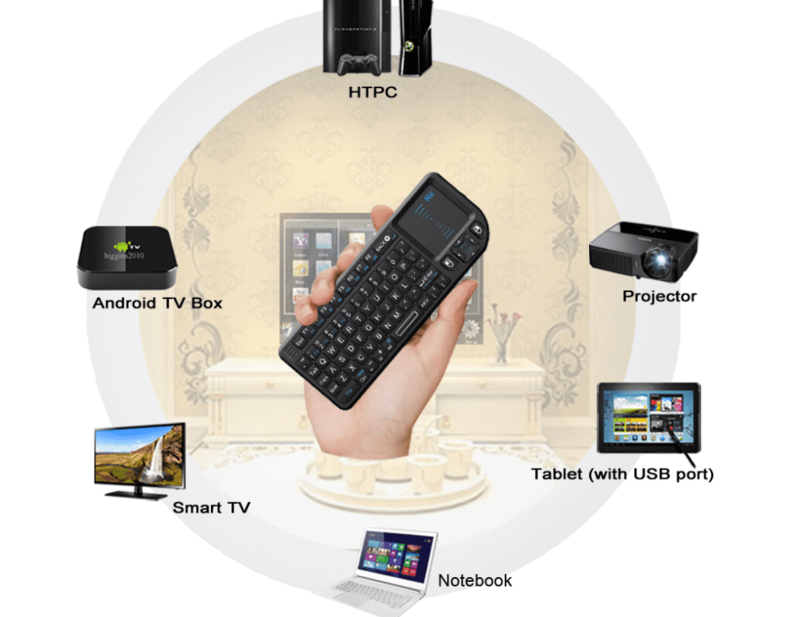 2.4G Rii mini keyboard can be used with Desktop computers, notebooks, tablets, Smart TV, Android TV stick, Internet HD player with USB port, and support mainstream operation systems.